From family time to gatherings with friends, December in Ocala is our favorite time of year! 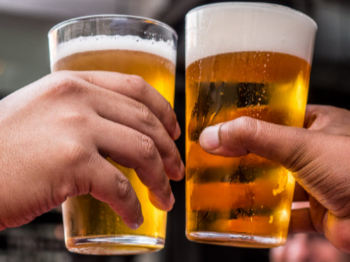 We’ll make it easy for you to plan ahead with this month’s events blog featuring a full line up of live music, local brews and on stage performance at The Reilly Arts Center. Need a little fresh air? 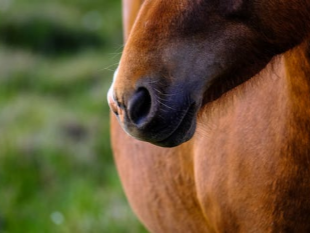 We’ve found the best of the best outdoorsy outings for you and your friends at the Florida Horse Park, Silver Springs State Park, Depot Park and so much more! 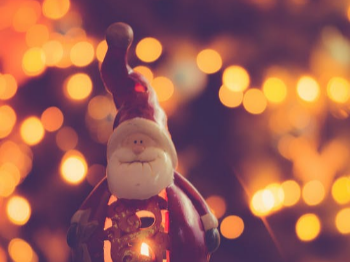 Join the Reilly for the annual foray into the festive spirit begins as we explore the music and stories of our holiday traditions. Always sold out, full of laughs and smiling faces – don’t miss this event! Ticket information available here. 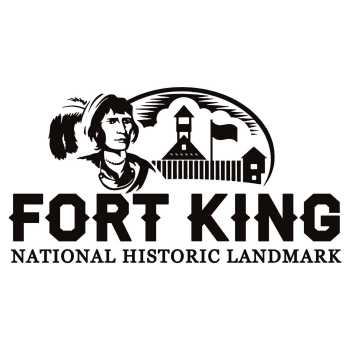 Fort King National Historic Landmark is pleased to present our 3rd Annual Fight for Freedom: Attack on Fort King, reenactment and history festival. These two days will be filled with living history, time period vendors, food, demonstrations, and the reenactment of Osceola’s attack on Fort King. $5/person. Veterans and children under 5 are free. A Cure is Brewing is the best way to put the FUN in fundraising! Join us at Infinite Ale Works as we raise money for the Relay For Life of Ocala. Tickets are $25 and participants receive 1 free beer, a t-shirt, and a commemorative pint glass. The event will feature food trucks, amazing silent auction items, live music, and a 50/50 drawing. 100% of the proceeds from ticket sales/ silent auction and 20% of food truck sales go to Relay For Life. Relay For Life is the largest fundraising event for the American Cancer Society and benefits cancer research as well as patient programs/services. 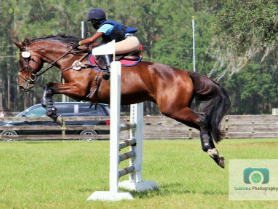 The Florida Horse Park will host the final show of the season as they show their brand new jump course in the main hunter ring. This is a great opportunity to school your horses and riders for the upcoming winter circuit and to earn points for year end awards. 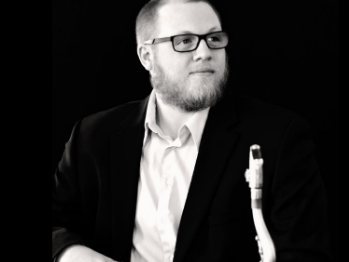 The annual fall concert features CF’s chamber groups including the Saxophone Ensemble, led by Gregory Snider, and the Trumpet Ensemble, led by Andrew Moore. 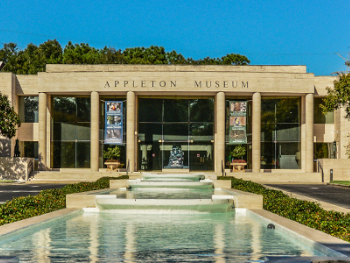 Admission to the concert is free with admission to the Appleton Museum. For information, contact the CF Box Office at 352-873-5810 or visit from 1-4 p.m. Monday through Friday. “Santa on the Square” returns to Downtown Ocala in December. This holiday family-friendly event will take place on Tuesdays and Thursdays, Dec. 4-20 from 6 to 8 p.m. at the downtown square. 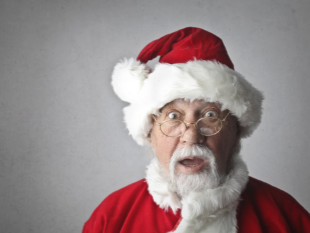 Children of all ages will enjoy a visit with Santa and Mrs. Claus! This event is complimentary and open to the public. For more information, please call the City of Ocala Recreation and Parks Department at 352-368-5517. Take a unique seat on the Reilly stage for an intimate evening of Jazz and drinks! Greg Snider and his group will perform their set “You’ve Got a Friend in Me: The Music of Disney”. You won’t want to miss this special performance, just in time for the holidays! The curtains will be drawn for signature cocktails, and a night of relaxing with great music that you won’t find anywhere but on stage at the Reilly Arts Center. 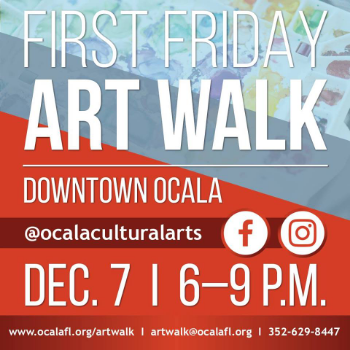 The highly anticipated First Friday Art Walk season is back! This FREE community event takes place the first Friday of each month from September through May. 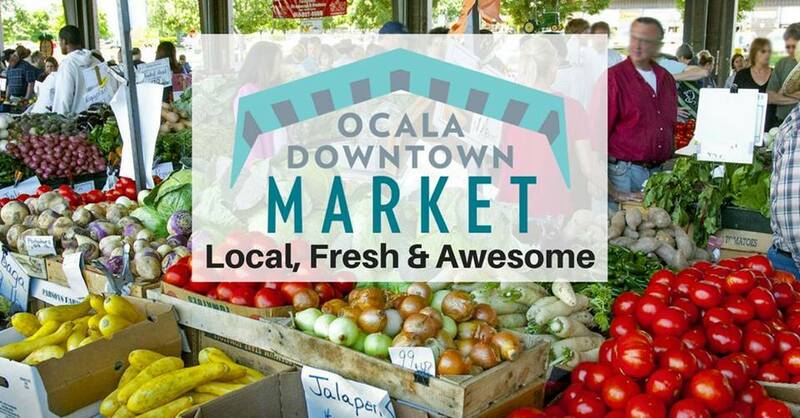 Located within Ocala’s historic downtown, event festivities include artist displays, live entertainment, free family art activities and extended shopping hours. Check the event page for a full lineup of activities. Additional activities and events will be happening simultaneously all throughout downtown at some of the participating businesses. 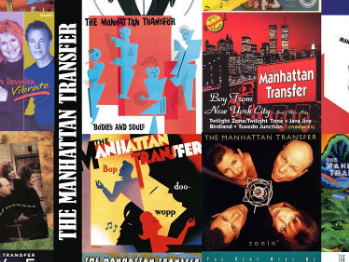 The most award-winning Jazz vocal group in the history of recorded music, The Manhattan Transfer, is coming to Ocala’s home for arts and entertainment, the Reilly Arts Center! For over 40 years, the 10-time Grammy-winning quartet has been bringing jazz lovers to their feet all over the world. 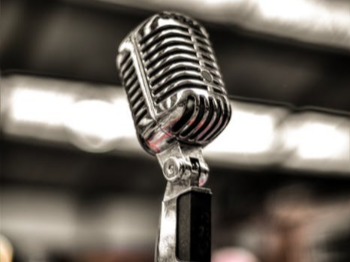 They gained popularity in New York cabarets in the early 1970s, and quickly earned national fame with the release of their hit album and the single “Operator,” which took radio stations by storm. Their March 2018 Album, Junction, topped the jazz charts across the world – don’t miss this event! 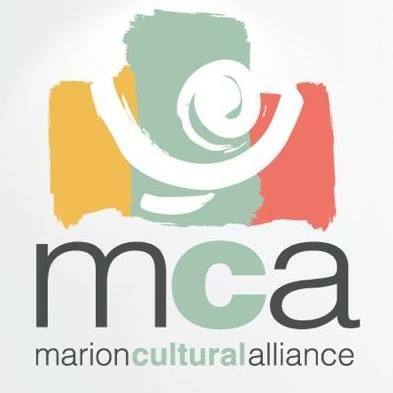 “Beat & Path” is the newest collection of works for the One-Man Exhibit at The Marion Cultural Alliance on display from Dec 7 – Dec. 31. To learn more about the exhibit visit the event page. 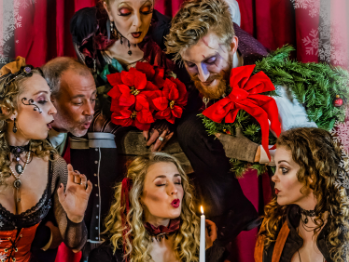 Celebrate the 2018 Holiday Season as Phantasmagoria returns with its own unique adaptation of Charles Dickens’ classic holiday tale “A Christmas Carol, A Ghost Story of Christmas”. 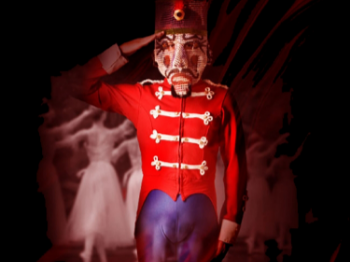 This critically acclaimed Victorian Performance Troupe will bring its signature tapestry of movement, dance, puppetry, projections, music and storytelling to the stage as one of the most famous Ghost Stories of all times comes alive! A true tale of the Past, Present and Future – with the glory of redemption! Dickens’ wonderful tableau will come to life with Phantasmagoria’s own unique aesthetic and performance style in this brand new adaptation. The Dragon Flower Winery is happy to co-host Happy Horse Farm’s Annual Open House! 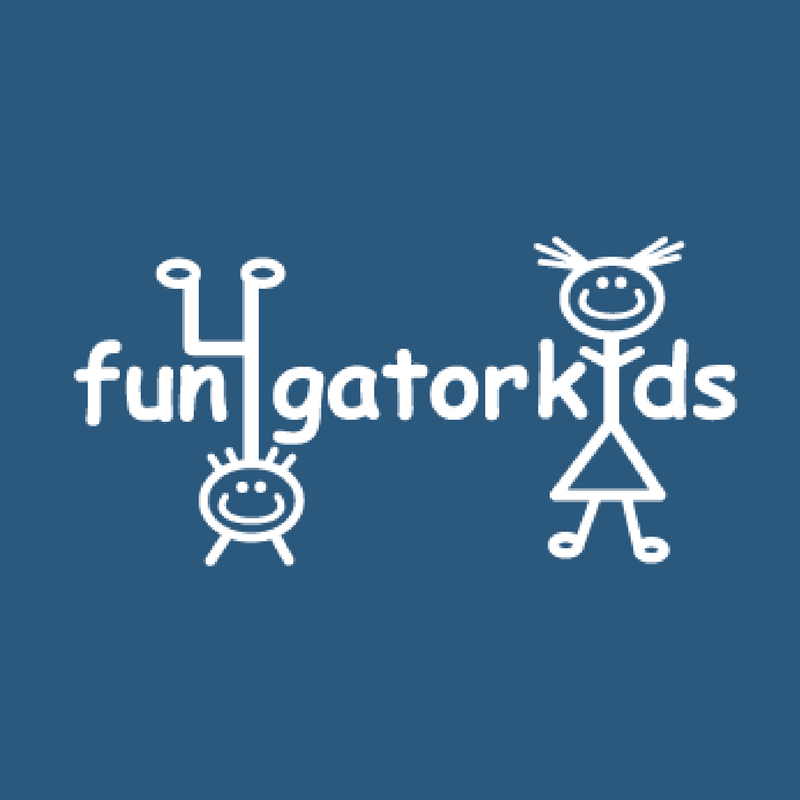 Featuring Dragon Flower Winery Wines and Florida Craft Beer. There will be live music, pony rides, raffles, food, and tons of fun for everyone! Parking and access to the event will be at the winery. Come show your love for our hoofed friends! 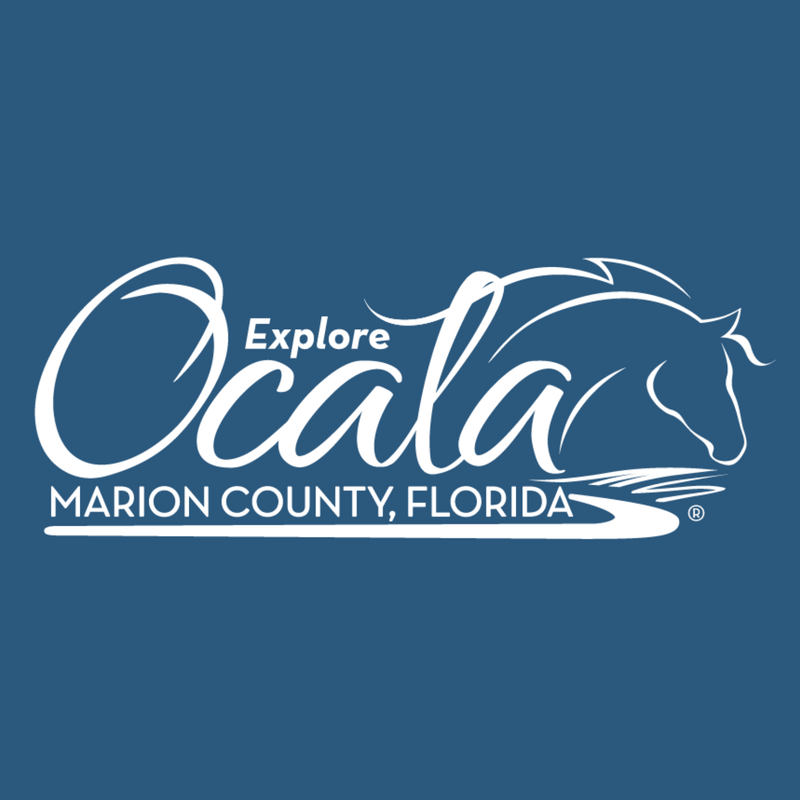 The 53rd annual Ocala Christmas Parade is back! Starting at 5:30 pm on SE 25th ave to SS Blvd ending on NE 8th Ave. Come early and browse through vendors, eat, drink and be merry! Come and discover what life was like at the turn of the century in the Florida “Piney Woods.” The cracker homestead is a replica of a 19th-century pioneer settlement. This collection of buildings represents a small “Cracker” settlement dating to the 1890s. During the tour, replica buildings will be open for viewing and on most tours, the blacksmith’s forge will be fired up. Meet at the Cracker Village across from the Silver River Museum. This is a reoccurring event check the event page for details. This concert, hosted by Creative Arts Love Festival (CALF), benefits Megan’s Farm. Megan’s Farm is a safe haven for all abused and abandoned animals. Join Little River Band and CALF, in helping this wonderful cause. 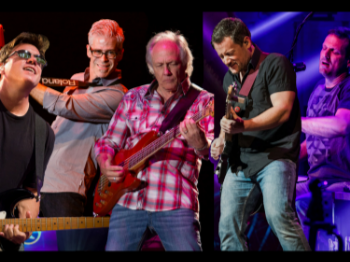 Limited $125 VIP tickets in the first 3 center stage rows include meet & greet with LRB, and catered dinner in the Founders’ Club. LRB takes the Reilly stage at 8 PM. Local authors and their books will be represented in the Reilly lobby, so stop by early for local author book signings! 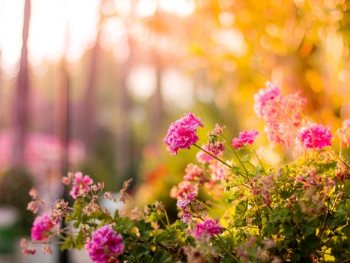 Join a park ranger for information about the gardens’ history, learn about the different seasonal flowers and blooms, as well as about pollinators like hummingbirds and butterflies. 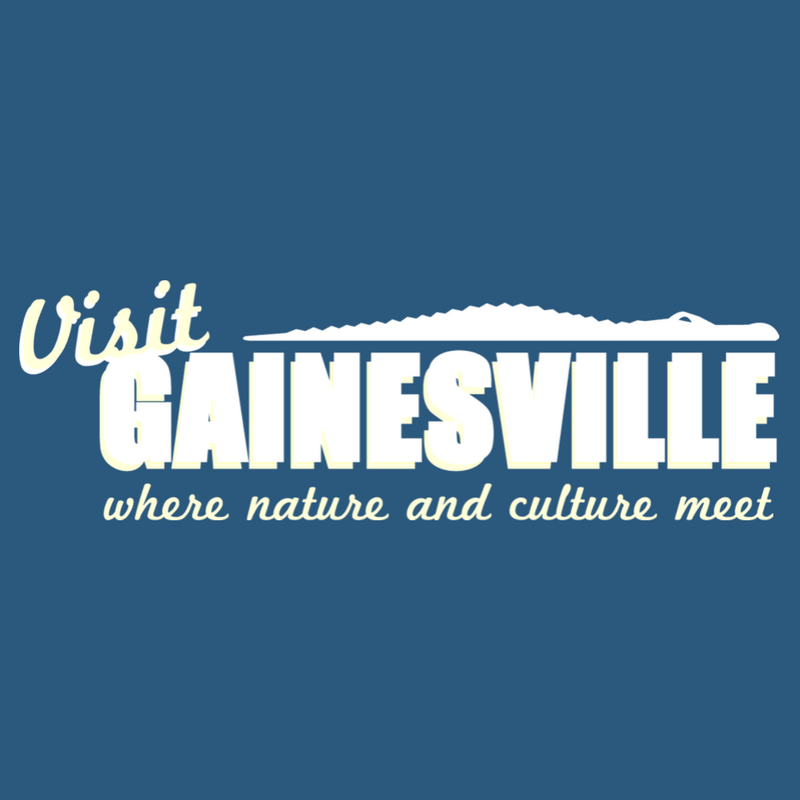 The tour passes through the following gardens: Courtyard Garden, Crossroads Garden, Camellia Garden, Fire & Water Garden, and the tour ends at the Wildflower Garden. After the tour, visitors are free to continue exploring the garden pathways and trails or walk back along the river. The program is free with paid park admission. 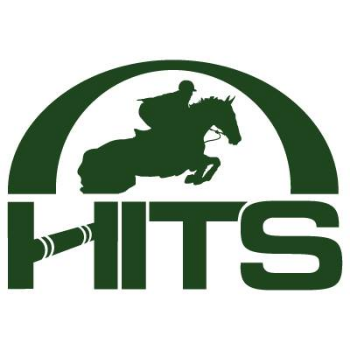 The HITS Ocala Winter Circuit offers exhibitors 10 consecutive weeks of shows with two additional weeks of USEF-Rated shows—the Ocala Holiday Series—in mid-December. The extensive range of classes, offering over $4 million in prize money, and abundant show opportunities makes HITS Post Time Farm in Ocala, Florida, a prime winter destination. For more details visit the event page. The one and only Gallagher and Party Artie Fletcher create the most unpredictable, unscripted comedy you’ll ever see! 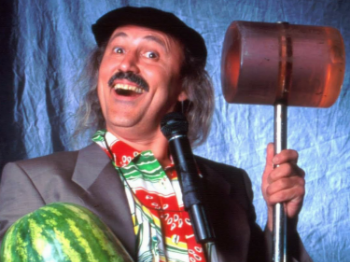 The famous watermelon smasher, the inventor of the television stand-up comedy special, 14 Showtime specials, over 3,500 live shows to capacity audiences… Gallagher has led an extraordinary life, with an even more spectacular career. Don’t miss your chance to see him LIVE! Note: This show is not suitable for children. 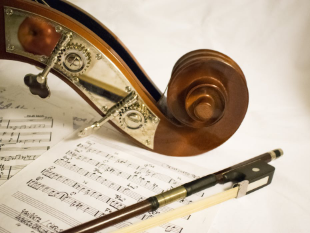 The annual After Hours concert series offers live music, special displays of artwork by Ocala Art Group and tasty samplings from local restaurants. Cash bar available. Doors open at 5 p.m. and music begins at 5:30 p.m. After Hours is free for Appleton members and $15 at the door for nonmembers. 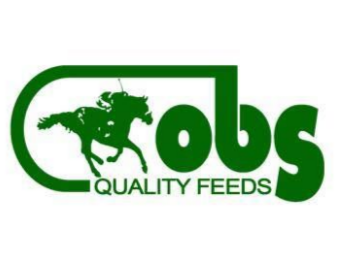 Join the Ocala Breeders’ Feed and Supply store for a day of deals and shopping. Local Vendors and Artist will be set up at our Highway 27 location with some great items. Paintings, handmade jewelry, Christmas ornaments, hair bows, Holiday Crafts, water glass pet ornaments, clothing and more. Girl Scouts will be doing gift wrapping – stop in on December 15th! 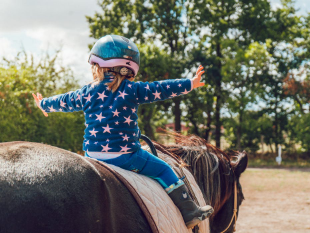 As the home base for the Williston Horseman’s Association, the Park hosts family-oriented competitions and events from equestrian events to car exhibitions to dog shows. The WHA is a local non-profit organization whose mission is to support the community and its youth. Silver Springs State ParkJam out to acoustic music at Silver Springs State Park, from banjo, guitar and fiddle to upright bass and accordion. 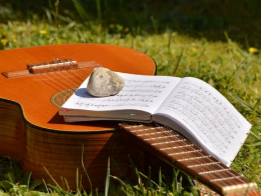 You’re invited to bring your own instrument, join in, and jam with the group! 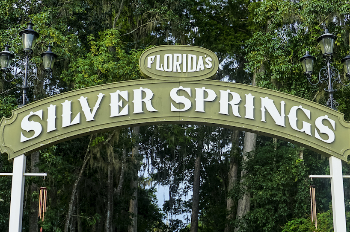 Located in the central and charming Ocala, Florida, Silver Springs State Park has been a natural landmark since the 1870s, enjoy kayaking, canoeing, paddle boarding, Glass Bottom Boat tours, biking, hiking, camping. Weekday outings on the Silver Rivers, ideal for beginners and those interested in nature and wildlife-viewing. Equipment provided. Fee is $30 / person ages 18 and up. Fee includes equipment and refreshments following the outing. 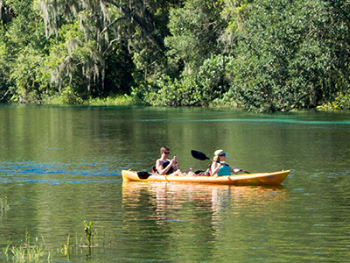 Paddlers will meet at 9:30 am at the Silver Springs State Park launch site (Route 40 entrance). Can’t make it this week? No worries this event happens the third Thursday of every Month. Presented by Dance by Sheila Academy and Sheila Ruotolo Dance Company, usher in the holidays with a Christmas ballet inspired by music from The Trans-Siberian Orchestra’s “The Lost Christmas”. 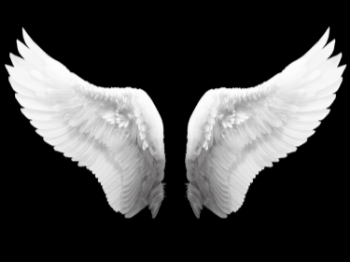 This production features original choreography by Sheila Ruotolo and includes music by The Trans-Siberian Orchestra, Pentatonix, The Nutcracker Suite, and more! 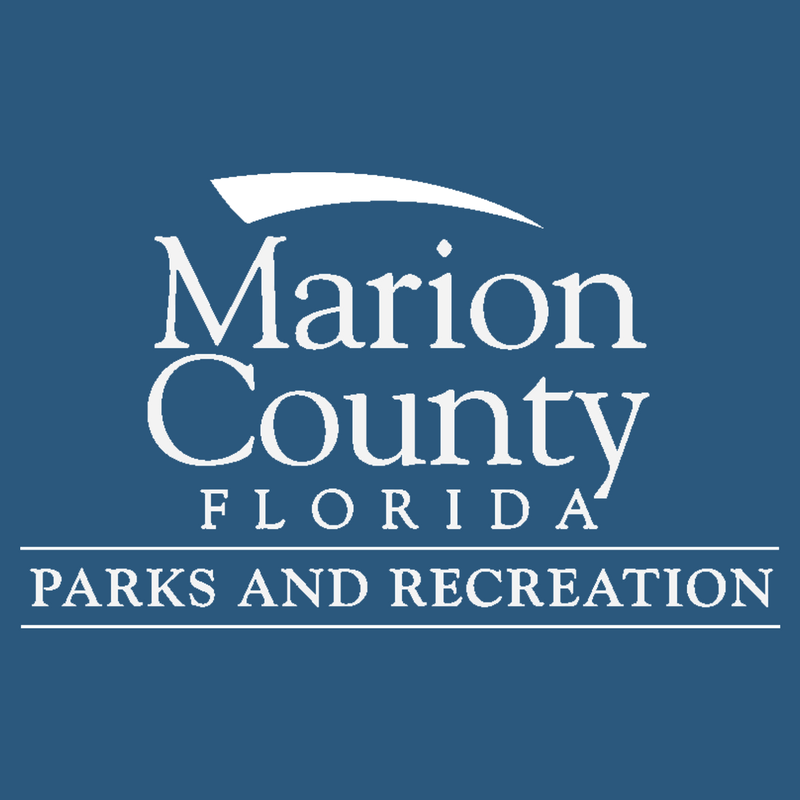 In partnership with the Marion County Animal Services, Silver Springs State Park presents an opportunity to make a difference in the life of a shelter dog. 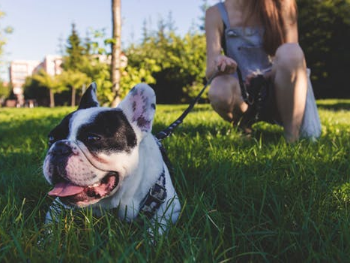 This program gives the animals exercise and the chance to socialize with other dogs and other people. All of the dogs are available for long-term adoption but you can also “adopt” a dog for the morning and take it for a walk with the group. Free with paid park admission, check the event page for more details. Mark your calendars for a fun and educational regional Winter Camp to be held at the Florida Horse Park on Dec 28-30, 2018. 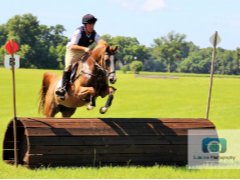 From beginners to advanced riders in all disciplines plus fun and games! 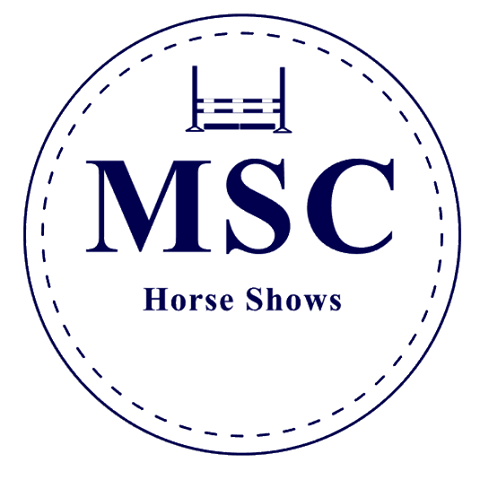 Non Members are also invited to attend to experience Pony Club first hand. Check the event page to learn about this camp, clinicians and other options. You’re invited for an evening full of music and entertainment featuring a live drum circle. From 4 p.m. to sundown, enjoy this musical experience, and bring your own percussion instruments for even more fun. Audience participation is encouraged, including singing and dancing. For your comfort, please bring a blanket or chair. Whether you participate or just watch, it’s a great time for everyone. This program is free with paid park admission. Are you hosting an event and don’t see it here? 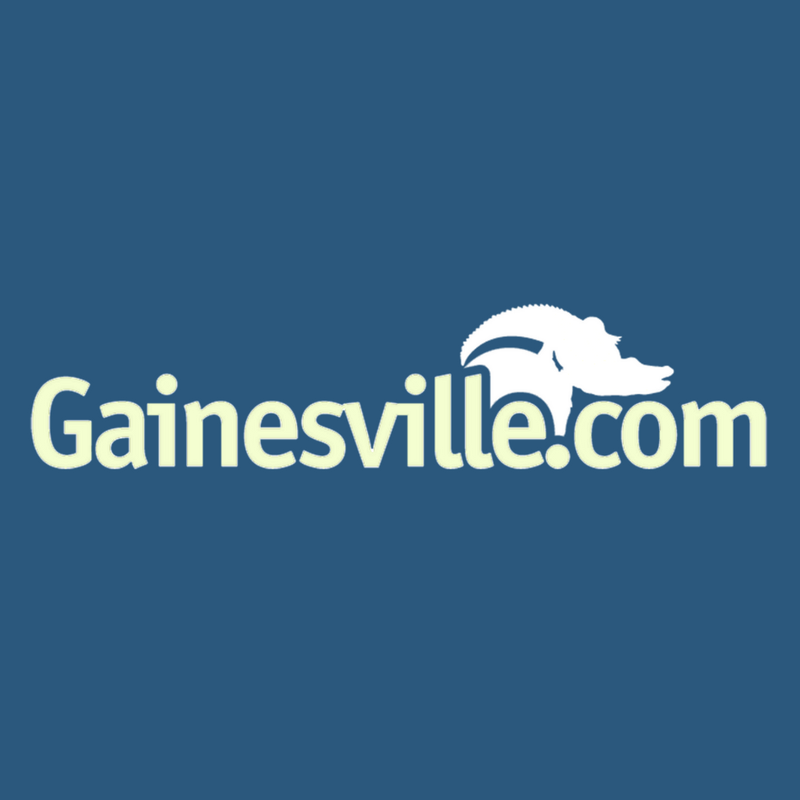 Contact us at marketing@showcaseocala.com to learn how you can get your event featured above. 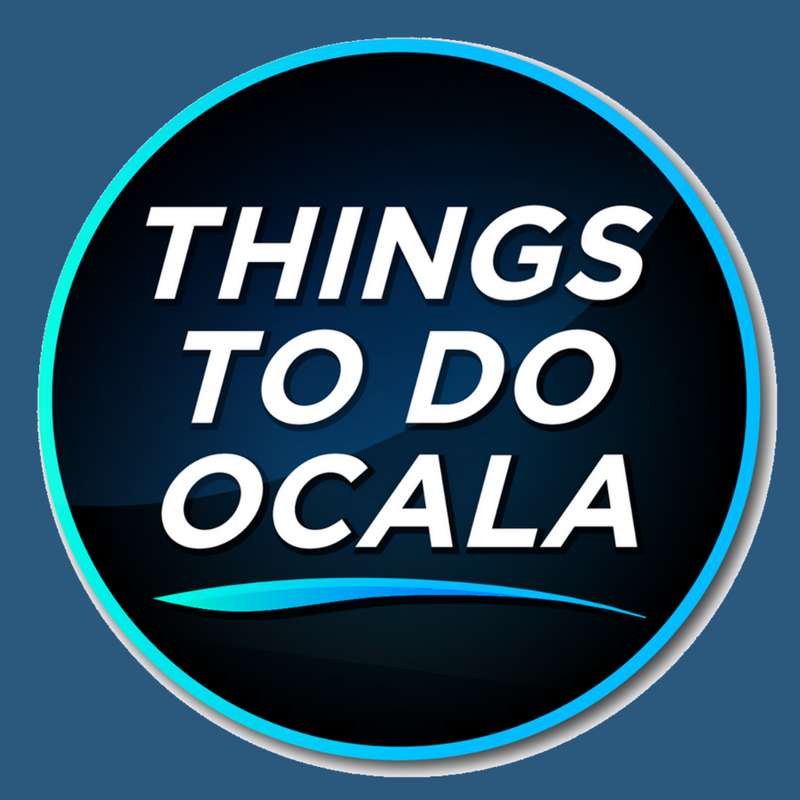 To keep tabs on the latest and greatest in Ocala’s upcoming events, sign up for our newsletter below, or like us on Facebook. Take a look at these additional resources for more local activities and events!